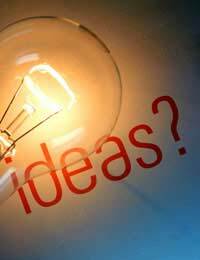 Home > Invention Ideas > What Makes Even The Simplest Idea Sell? The world is now so intricate, many people mock an idea that’s simple. They fail to realise, however, that an uncomplicated idea can have a lot going for it. When an inventor comes up with an idea for a new product, entrepreneurs, manufacturers, and suppliers look for the unique selling point (USP). A simple idea, no matter how complex the product that embodies it, can give this USP a distinct edge. For instance, when people hear the USP, an inventor should hope to hear comments along the lines of “It’s so simple, it’s brilliant”. Simple ideas therefore command attention, but they’re not always practical. Any inventor who has pitched a simple idea to a company is aware of this. No matter how straightforward the proposed product may seem to the inventor, product developers and entrepreneurs keep coming back to the concept of ‘risk’. The risk factor of a new product relates to money. In other words, how much will it cost to get the product to market? And how much profit will the product make? When pitching a simple idea, an inventor should therefore talk about the low risk. This doesn’t mean that low risk automatically follows simplicity. It’s easier for an inventor to argue the point, however, when he or she has a simple idea. In other words, an inventor should make every effort to prepare a pitch so that reduced risk matches the product’s lack of complexity. Another issue an inventor faces from business people about an idea is the escape plan. This is the plan to salvage a measure of success and profit if the idea goes wrong. With a simple idea, an inventor can emphasise the low risk, and therefore the unlikely need for an escape plan. For instance, if the product is quick and cheap to make, the inventor can reduce the relevance of an escape plan by suggesting a market trial before full production. There are often many people from different backgrounds involved in producing a new product. All of them need to know what they’re dealing with. This becomes so much easier if the idea behind a product is simple. Everyone can quickly grasp what he or she needs to do to make the product a success. Those who market a new product must describe and promote it to the public. This can be a tricky job. It’s made easier, however, if the marketing people can sell the simplicity of the product. Companies pay a great deal to have their products sold in simple and effective terms. A marketing company may sell a complex piece of electronic equipment, for example, by simply referring to its style or range of colours. A simple product opens up a lot of marketing possibilities – and can help keep down the cost of advertising. Even the simplest idea of an inventor can therefore sell. In fact, there’s a strong argument that the simpler the idea is, the cheaper, more profitable, and successful it may be.